Summer of original style murals with my abstract portraits. From Toronto - Colombia. Before I had defined my work in the current abstract portraiture I used to do a lot of murals. Much like a lot of the work I did at that time, murals were done as commercial aspect of my business usually just doing what the customer wanted, which more than not was usually more on the realistic style. 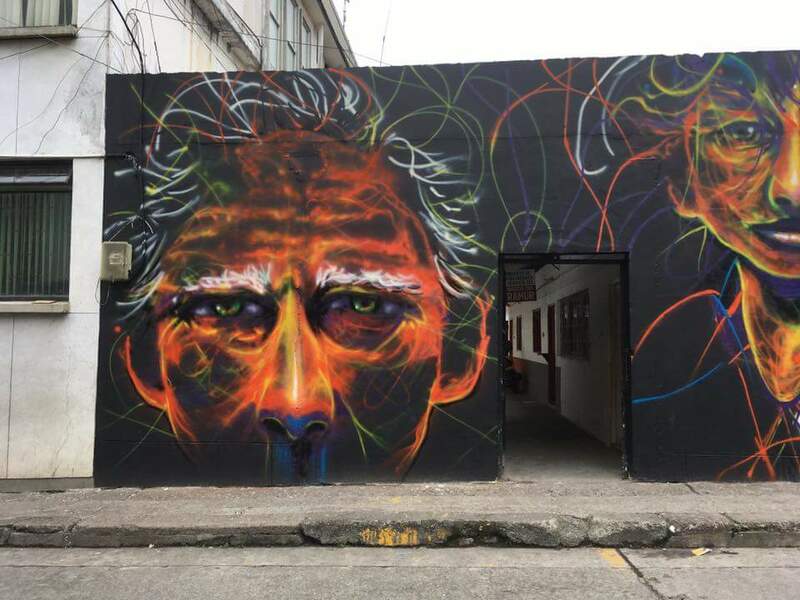 Since I had been working in my current abstract portraiture I had told myself I won't be doing any more murals unless I can bring these faces to the large scale. So I was very honoured when within a month I had an opportunity to do this twice. 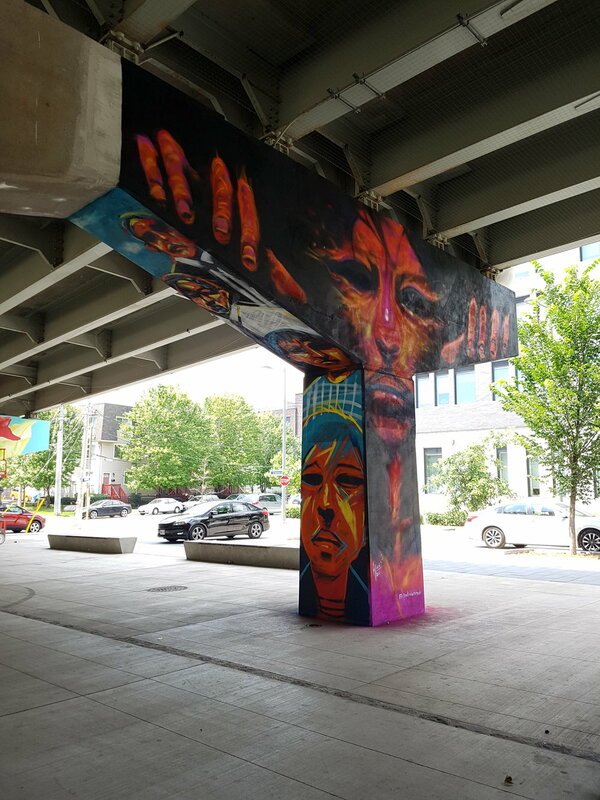 The first mural came in July when received an invitation from Mural Routes and StreetART Toronto in Toronto to be part of the Underpass Park and paint a mural in my style on one of the columns. Below are some photos. 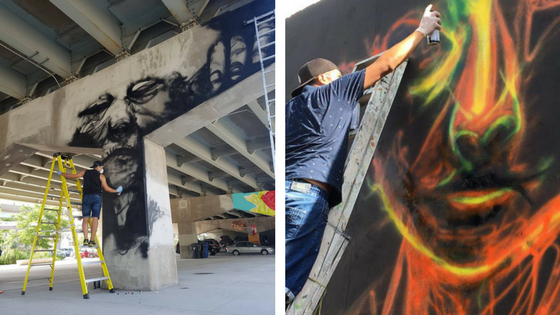 Thank you to Mural Routes and StreetART Toronto for this invite. 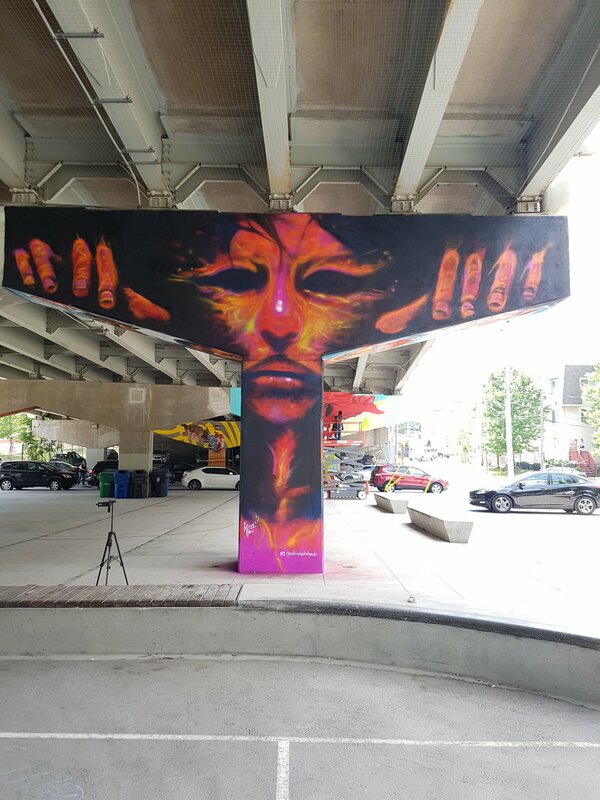 If you are in Toronto you can check it out yourself at the Underpass Park at King St. W. and Lower River St.
A week after I finished this mural I went to my native Colombia to participate in a cultural event called "Encuentro de la Palabra" in my home town Rioscuio, Caldas. 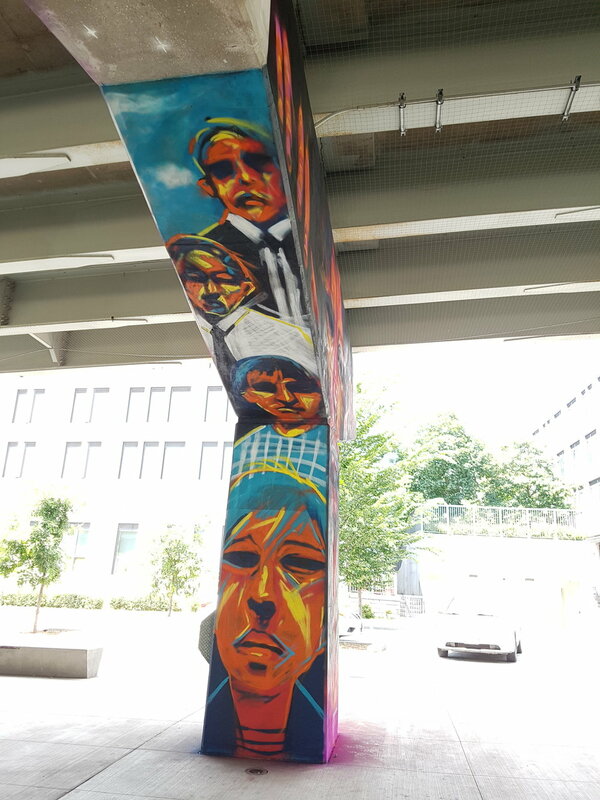 Beside some live painting, I was also invited to do a mural. It was a big honour to be able to leave something so large scale and in my own original style in my home town. 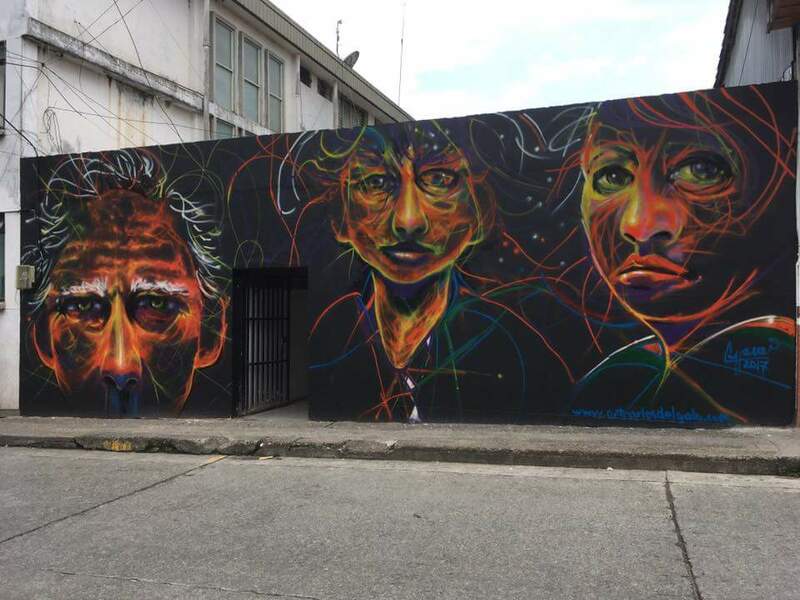 Below are some photos, and if you are ever traveling in that part of Colombia, make sure to go check it out.